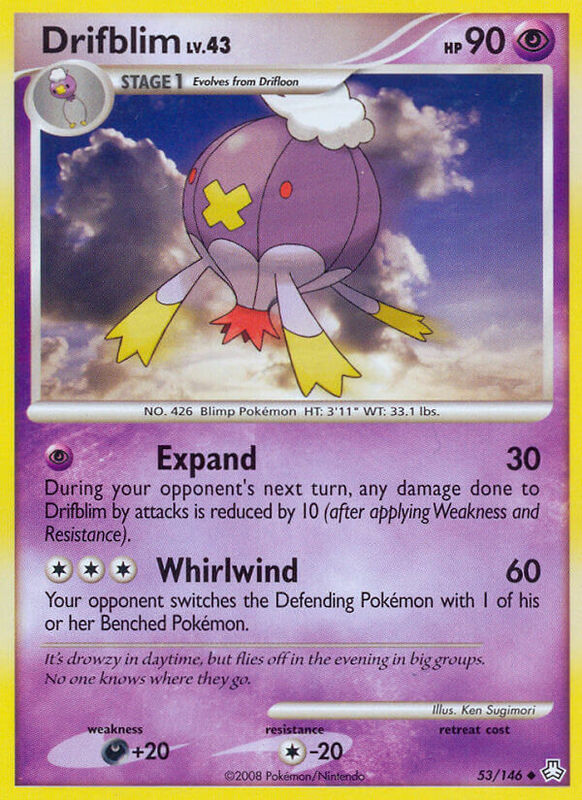 During your opponent’s next turn, any damage done to Drifblim by attacks is reduced by 10 (after applying Weakness and Resistance). Thought you can hop in and enjoy the air balloon ride to escape the evil? WRONG! This pokemon is taking you to a looooooong journey that doesn’t end!